Indoor localization technology has gained a lot of attention recently thanks to the increase use of geolocation-based applications in smart devices. One of the key technologies required for indoor localization is the detection of smart device position indoor where outdoor positioning system such as GPS cannot operate effectively due to the inability to penetrate through walls and obstacles of GPS signals. 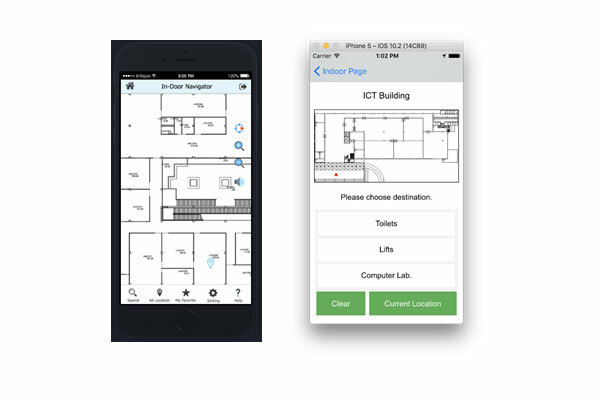 Various technologies propose for indoor positioning such as Wi-Fi-based, Bluetooth-based positioning using techniques such as lateration and signal fingerprinting. 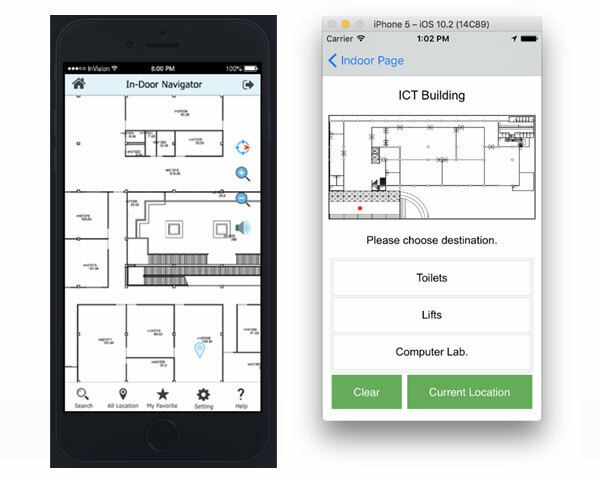 The performance of existing indoor positioning technologies is quite satisfactory enough for developing applications. Even though there are already a number of various location-based service applications, a few of them target visually impaired users who would gain significant benefits from this technology. We propose an indoor navigation system based on RSS lateration and RF Fingerprint using Wi-Fi and Bluetooth Low Energy. The user interface is tailor-made to be suitable to the visually impaired.